Turn on Instant Pot to Sear (sauté) option and wait a few minutes. Meanwhile salt and pepper the ribs. Sear ribs on all sides. Keep ribs to the side and sauté, 2 tablespoons of roughly chopped ginger, 3 garlic cloves, 1 whole chopped onion, and scallion. Once onions are translucent, return ribs to pot. Change setting to slow cook (8-hours). 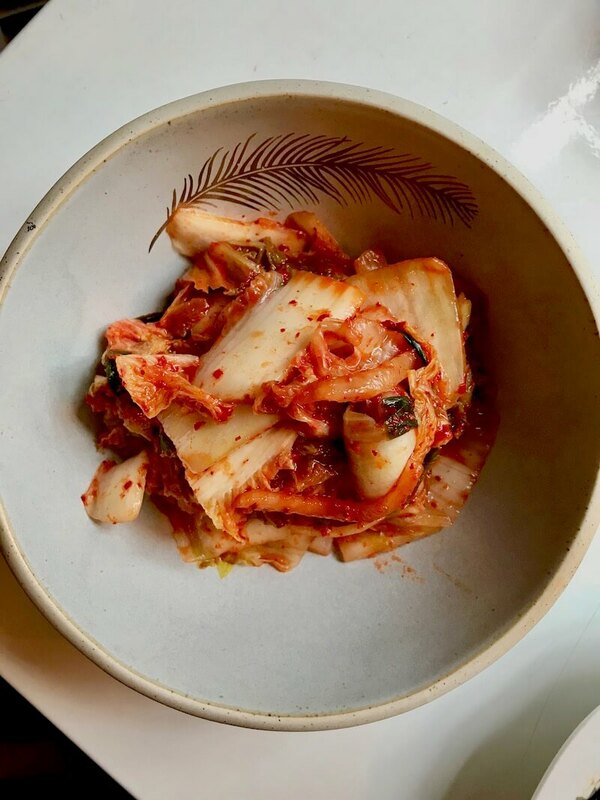 Add, half a cup of soy sauce, 4 tablespoons of sesame oil, 3 Tablespoons of Go Chu Jang (replace with red pepper flakes if unavailable), 2 canned pears and its juices, 3 tablespoons of sugar. Cover, and do what you have to do. It will be ready when you come home for dinner. For Rice, transfer the ribs to a serving dish and quickly rinse pot. The Instant Pot makes rice in less than 5 minutes. For Spinach, quickly blanch until dark green in salted water, scoop out spinach and add to ice water to stop cooking and then squeeze out excess water. Once cooled and dry, dress with mirin and sesame oil. Serve with Mirin seasoned boiled spinach, store bought kimchi and short grain white rice. Best paired with a cold pilsner beer, or a crisp Sauvignon Blanc.